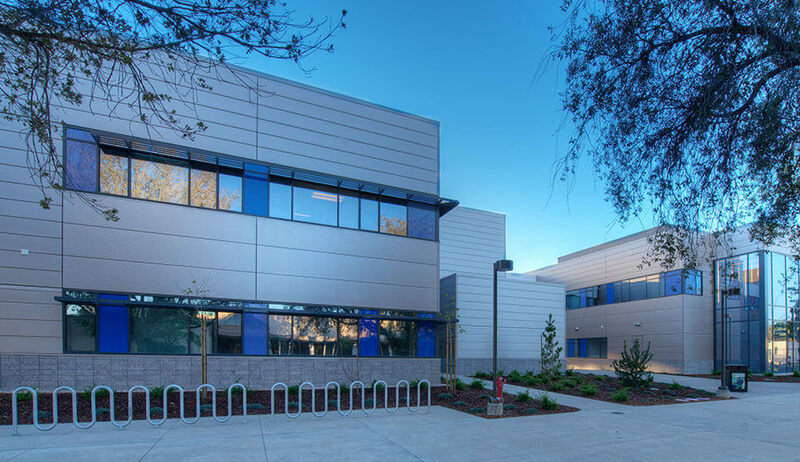 Located within the city limits of Santa Maria, in the northern part of Santa Barbara County, lies the new One Stop Student Service center buildings on the Allan Hancock college campus. 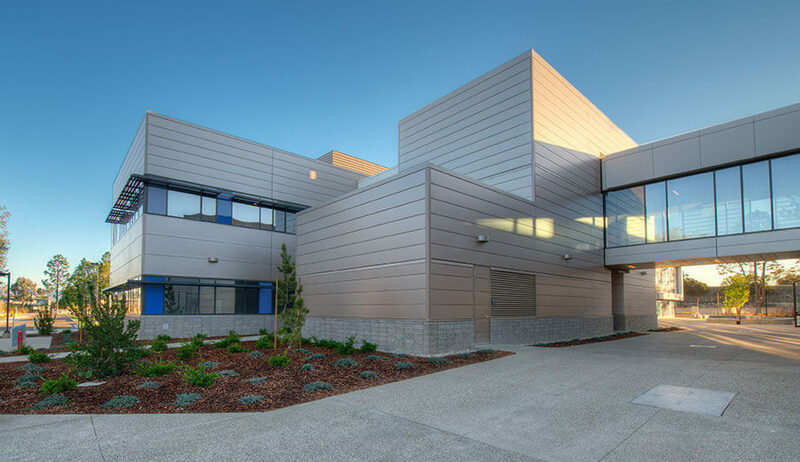 The new structures join the one hundred and five acre park-like campus, featuring the Joe White Memorial Gymnasium, the Marian and Severson Theaters, the Pacific Conservatory of the Performing Arts, and an expanded academic library and new community education buildings. A custom water feature and concrete plaza surround the new student center creating additional areas for students to study and gather on campus. The two new structures feature curtain wall exteriors and are connected by a unique sky bridge that not only allows easy access between the two, but continues the innovative thinking felt throughout the campus. 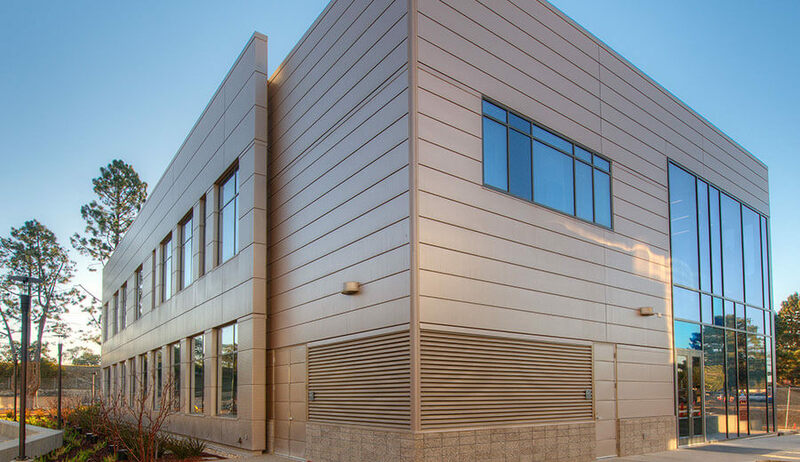 The Silver rated USGBC buildings incorporate natural ventilation, eliminating the need for air conditioning and allowing the breezes from the beautiful mountains of California to stream through. 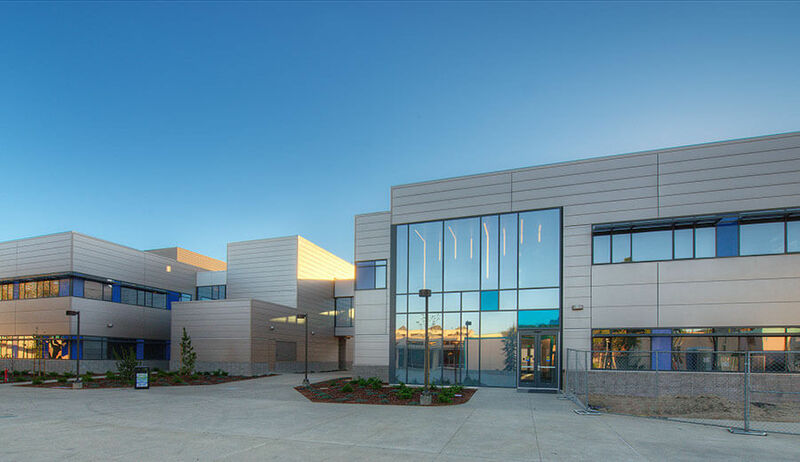 Other LEED features include low VOC paint, sealants, carpeting, natural cork used as a sound barrier and surface material, and water efficient dual flush toilets and low flow faucets.